In case you missed it, Google Places is now Google My Business. According to Google, the reason for the change is to make things easier for business owners. It’s very important for your Austin search engine optimization that you ensure your business shows up correctly in local results. Google has combined Places, which was the online platform that allowed businesses to make themselves more visible to search engine and their visitors, with Google+ Local, which was the business listing that appeared in Google+. In the past the two separate listings caused confusion. 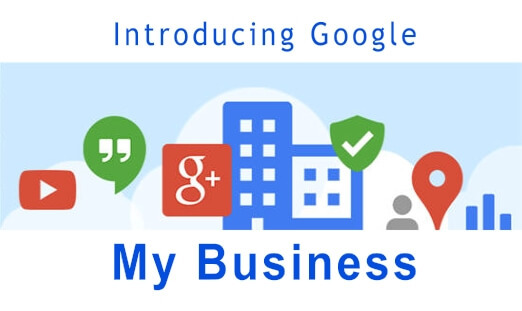 The new Google My Business platform should clear up the confusion all information now resides within Google+. The new platform should also save business owners time they would’ve spent checking individual elements, which previously required jumping between services like Google+, Google Analytics & AdWords, and YouTube. It Saves Time: If your business is not yet registered on Google, you can register on Google Maps, Google+ and Google Search with just one click. If your business is registered on Google, you can update your business on Google Maps, Google+ and Google Search from a single platform. All-in-one Review Stats: Before, Google+ Local only gave you access to the online reviews of your business made on your Google+ Page alone. With Google My Business, a major and very significant new feature is the consolidated review stats from major online review sites on the web. Faster Update Speeds For Bulk Uploads: If you have more than one location for your business, the new Google My Business dashboard has a bulk upload feature where you can update information for each. No Map Location, No Problem: Even if your business doesn’t have a Google Maps location (i.e. it isn’t a local business, it is online only, etc. ), you can still be listed on Google My Business. That means you can engage with your fans and followers and benefit from the consolidated Reviews dashboard and Insights feature. If your business already has an account with Google+ Local or the former Google Places For Business, all of your business information was automatically transferred to Google My Business. Just log in to your Google Dashboard to access the Google My Business interface. If you are new to Google, use the following steps to list your business. Create a google account for your business. Click here to go to the Google My Business website. If you are a local business with a physical location, enter your business name in the search bar and find your business on the map, if it has already been listed. If it is not listed, click on the option ‘None of these match Add your business’ in the drop down of the search result. You will be directed to a form where you can fill in information about your local business. If you are not a local business or your business does not have a physical location, you can skip the steps above and click on ‘Not a local business?’ on the top right corner of the Google My Business website. You are then taken to a page that gives you three categories to choose from – Storefront, Service Area and Brand. Choose the category most appropriate to your business type then the relevant non-local business details in the form. Both local and non-local business owners will receive a notification for a verification code. This will arrive in the form of a postcard that Google sends via mail. Once your business is verified, you will be validated as the owner of the business. You cannot make edits to your listing if your business listing on Google is not verified. Okay I’m Registered. Now What? Post updates, news and special offers on your Google+ page. Customers can +1 and comment on the content, which gives you a direct connection to their feedback. Think of your posts as a dialogue (similar to a blog) and respond to comments. Also, be sure follow users who follow you. Promote special offers and sales events using Google+ Events. Showcase products or services with pictures. Need help with your Google My Business profile? Get a quote today!